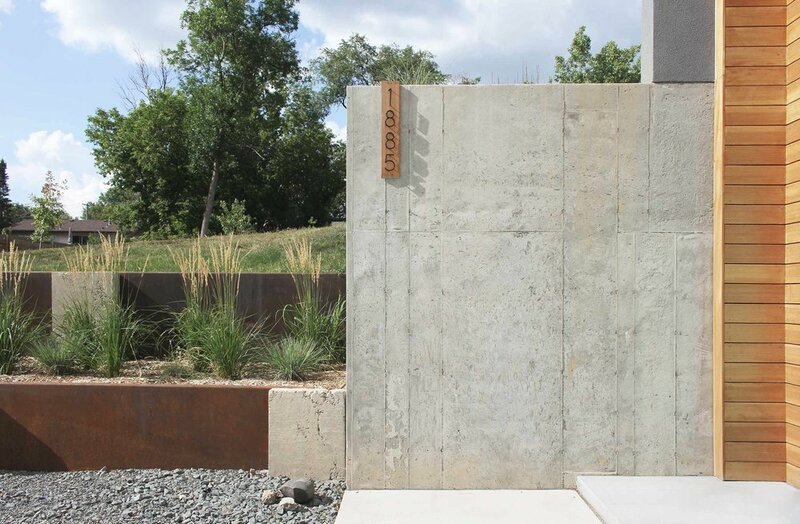 Located on Sweeney Lake, this energy efficient building opens the living space to give the residents a fantastic view of the the scenic landscape from the comfort of indoors. 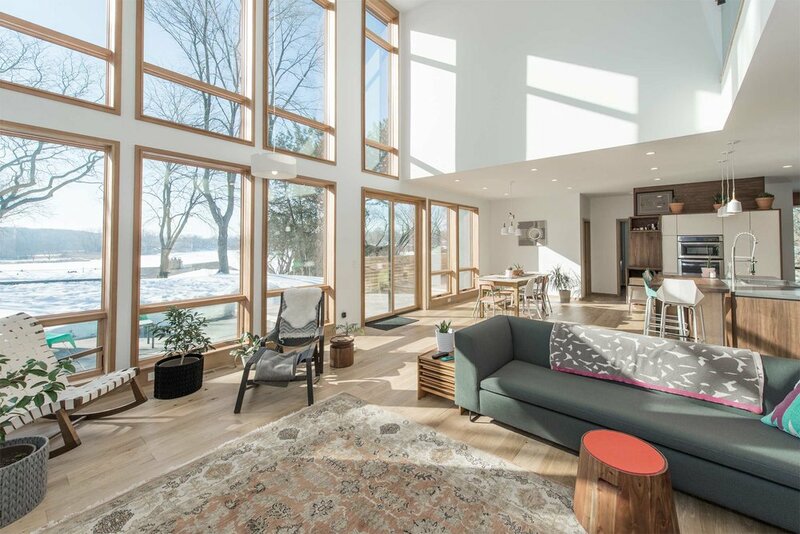 Despite the amount of windows, the house is well insulated to combat the harsh Minnesota winters. 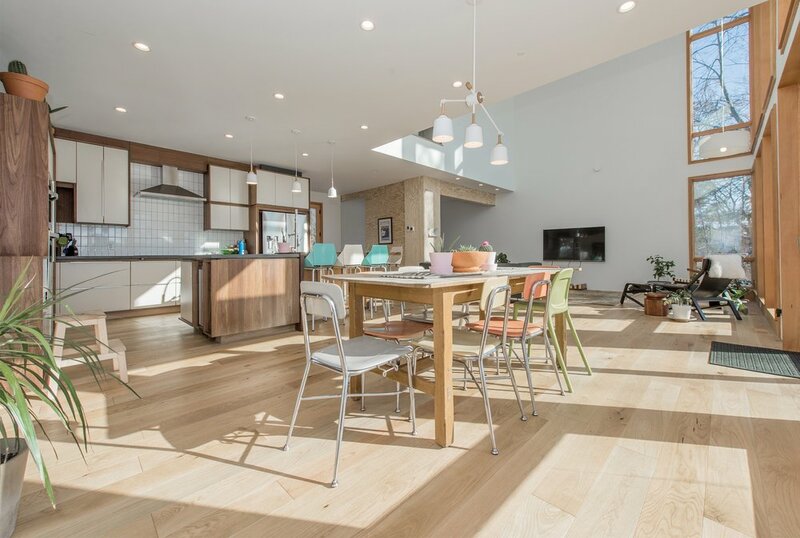 The tall, south-facing windows floods the space with natural light and solar gain in the winter. The custom exterior shading that blocks out unwanted heat gain in the summer.